Need to clean your car dashboard but want to skip the expensive cleaning products? 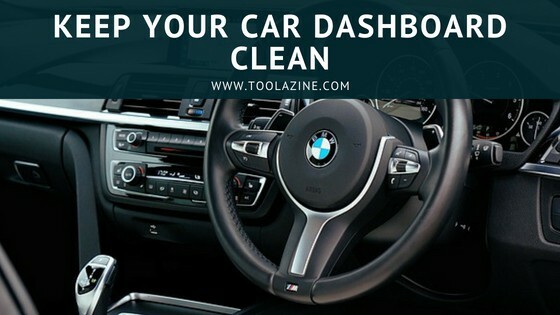 Cleaning the dashboard of your car can be an annoying task. In most of the cases, it will involve purchasing expensive chemical detergents or cleaners. 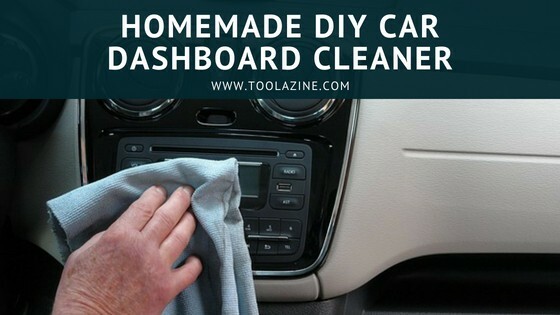 Nevertheless, in this article, I will give some DIY recipes (that are also more affordable) with which you can clean your car’s dashboard and save some money in the process. Specially designed car interior wipes can be sometimes very expensive. That is why I will show you an easy recipe with which you can prepare them all by yourself. Homemade wipes can be very helpful in repelling the dust and keeping your car interior smooth and clean. Add all liquid ingredients to a large glass container. Cut a roll of thick paper towels in half. For this purpose, you should use a serrated knife to cut the roll of paper towels in half, and then pull the cardboard roll out of the middle. Shake the liquid mixture well. Replace the lid and stir the mixture very well before adding the paper towels. Add paper towels to the liquid mixture. You should use ½ of your paper towels for the jar. If you are planning to use a large roll of paper towels you should simply roll as many paper towels as can fit in the jar. When you have inserted them into the jar you should pull the innermost paper towel up using your finger. Replace the lid and shake well. When you have that you should then make sure that all the towels are wet and soaked through. To use the homemade interior wipes, you should simply remove one wipe from the middle and wring it out. Then wipe your car’s interior with it, cleaning up the dust dirt and spills with ease. After usage, discard the wipes. The wipes can be used for cleaning leather seats too. The best method for cleaning vinyl dashboards is to use all-purpose cleaners. However, you should take into account that these cleaners contain harsh chemicals, such as ammonia, which take the plasticizers out of the vinyl and can cause fading or cracks. To avoid that, you should consider making a DIY natural eco-friendly all-purpose cleaner for these types of dashboards. For that purpose, you should produce a mixture of a ½ tablespoon of washing soda, 3 tablespoons of vinegar, 2 cups of water and ½ of a teaspoon of vegetable oil-based soap, such as Castile soap. After that, apply the cleaner onto the dashboard and wipe it using a soft cloth. Upholstered dashboards are usually equipped with an upholstered carpet-like covering. The best method for cleaning this covering is to toss it into a washing machine for hands-free cleaning. You should not use traditional laundry detergents because they contain harsh chemicals. Instead of that, you should consider using a natural detergent. To DIY a natural detergent you can put one tablespoon of baking soda and one tablespoon of borax into your washing machine. In case of which the dashboard upholstery has been permeated with road smells, you should consider adding a few drops of essential oil, such as peppermint oil which will provide instantly fresher scent to the newly washed upholstery. Some car dashboards, especially in the more luxurious cars, are covered with leather. When cleaning these types of dashboards you should avoid using substances such as alcohol which will dry out the leather, damage its luster and create cracks. That is why you should consider using Castile soap, which based on olive oil. After cleaning, to improve the glow and shine of your dashboard it is advised to apply a couple of drops of walnut oil on a rag and polish the dashboard using circular motions. Using another spray bottle put in it equal parts of white vinegar and water. Shake the bottle to combine the mixture. Spray the solution over the dashboard and let it soak for a few minutes or so. After that wipe it using a clean piece of newspaper or microfiber cloth. In a second spray bottle mix one part lemon juice and two parts olive oil and shake the mixture. With an aid of a newspaper or a microfiber cloth spread a small amount of the mixture over the dashboard in a thin layer. Using a clean cloth or a newspaper wipe out the excess. You should be careful not to use this mixture on the steering wheel, emergency brake lever, or the break pedals. That is because the mixture can make these parts very slippery, which can be dangerous during the driving. The oil can be very hard to remove from the glass, so it is advisable for you to avoid getting any part of this solution on the windshield, mirrors, and windows. White vinegar along with several other ingredients can save you money in the long term without the need of sacrificing the efficacy of the other traditional car cleaners. White vinegar is a favorite ingredient in most of the cleaning supplies which restrain from the traditional chemicals in favor of non-toxic alternatives. It is also safe to use, easily obtained and very cheap and effective. As you saw from the above article choosing the right DIY car dashboard cleaner is not an easy task. In short the upshot is that it is much better to use a natural dashboard cleaner instead of a one based on chemicals. That is because the natural detergents are much cheaper and are capable of achieving much more quality results than the traditional ones.